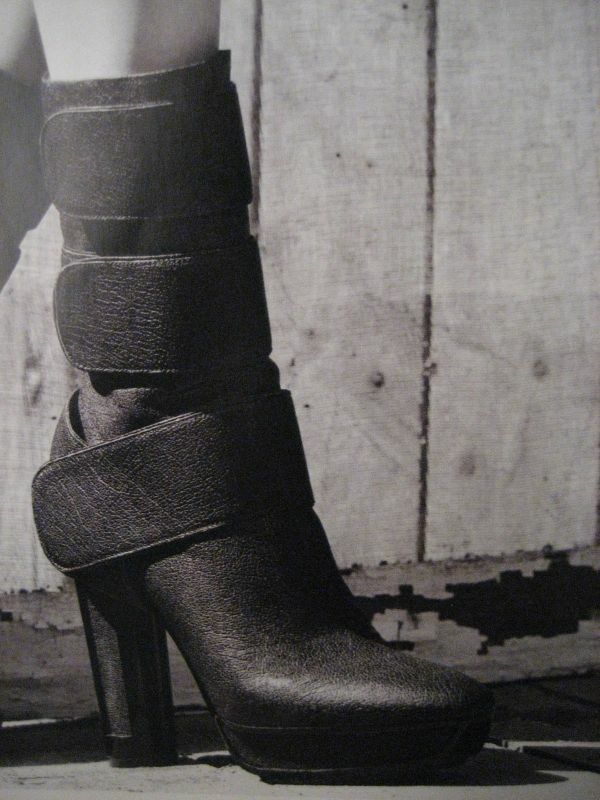 So I opened my new Elle, which for some reason is the September issue, and I spotted these amazing Calvin Klein boots. My first thought was- where can I get my hands on these? They were not on the website or anywhere on the internet for that matter. I called Calvin Klein's customer service line, and they referred me to their Retail Sales line. Calling Retail was also a bust, but the lady kindly sent an email to their New York office and said someone would get back with me. Alas, I received a call from Nicole today who informed me that these lovely boots are called Hera from the Calvin Klein Collection (sounds expensive already, huh?) and comes in 2 versions- textured calf and pony hair. She said they were shipped out to two stores in New York, and yes, they are only available in New York. Well, I guess it doesn't matter since I then meekly asked the price. Suggested retail price... $1,950.000000000. Not even close to the amount I would be willing to fork over. Not even close. If you haven't notice, many Calvin Klein shoes have a fairly affordable price point. Apparently, those are not the same shoes they send down the runway. Sucky. I will hand it to the ladies at Calvin Klein for being so nice over the phone and trying to help me the best they could. I guess the real help lies in my bank account. Two thousand buckaroos... I can get four pairs of Atacoma Wedges for that amount.